The First China (Xingcheng, Huludao) International Swimsuit Festival is set to kick off in Xingcheng, Huludao city of Liaoning province from August 16 to 17. The festival, themed "The Beauty Leads the Fashion, The Dream Lightens the Life", aims to promote the swimwear industry's upgrades, enhance Huludao's recognition as swimsuit production bases at home and abroad, and fuel the integrated development of the tourism and culture industries. Huludao city is a well-known coastal tourist destination in southwestern Liaoning province. Being the first city outside the Shanghai Pass, this prefecture-level city serves as the gateway into the Northeast. Huludao is noted for its swimwear products with elaborate design and fine craftsmanship, as well as its beautiful natural scenery. Launched in the 1970's, the local swimsuit industry shifted from family workshop style into a business cluster embracing modern technologies and facilities. Presently, the city has 50,000 people engaged in the swimwear industry and about 350 swimsuit producers with a total production output of more than 100 million pieces each year. The industry reports 5 billion yuan in annual sales revenue. 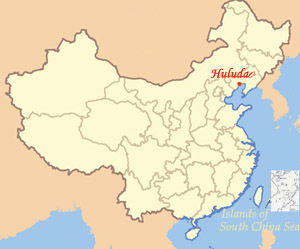 Huludao's swimsuits are sold worldwide, including countries and regions such as Russia, U.S., Europe, Africa and Southeast Asia. The city boasts nearly 100 registered brands, including the internationally registered ones: Diezi, Kdilon and Phonic. Xingcheng City, a county-level city under the administration of Huludao, is located in the northern part of Huludao. Huludao's swimsuit producers are mostly concentrated in the city of Xingcheng. By virtue of large-scaled production, great diversities, up-market quality, novel design, refined tailoring, gorgeous colors and stunning market share, Xingcheng has edged into the top 3 swimwear production bases in China, together with Yiwu in Zhejiang, and Jinjiang in Fujian. Last year, the city was honored as "China’s Famous Swimsuit City", the first of its kind in China, by the China National Textile & Apparel Council (CNTAC) and China National Garment Association (CNGA). Started in 1980's, Xingcheng's swimsuit industry has achieved sustainable progress in enhancing technological level, company management, product quality, indigenous brand building and market expansion. At present, the city has about 200 swimsuit makers and 30 supplementary materials producers, with 300,000 people engaged in this industry. The annual output stood at nearly 100 million pieces with a total value of about 3 billion yuan, generating about 100 million US dollars in export. Swimsuits from Xingcheng account for 30 percent of the domestic market and 20 percent of the global market. The products are now exported to 25 countries and regions, including the United States, France, Germany, Italy, the Republic of Korea and Russia. Xingcheng enjoys about 70 registered brands, of which, more than 30 are for export. Currently, the local government of Huludao is exerting great efforts to develop the swimsuit industrial zone in Xingcheng.